Noventis has a longstanding tradition of dedicating a work day to giving back to the community by lending the services of our workforce to local charities. With the company headquartered just blocks from the Buffalo Bayou in Houston, the devastating floods from Hurricane Harvey were fresh on the minds of everyone at Noventis as this year’s Away Day approached. As soon as Harvey hit, Noventis established a relief fund to help our employees and their families who were affected by the storm. The fund provided reimbursement for home repairs, lodging, meals, transportation and other unexpected expenses. With the affected members of the Noventis family safe, dry and supported in their rebuilding efforts, the company turned its focus to helping the broader community. With so many worthy organizations in need of help, the decision on whom to partner with was not an easy one. In the end, the logical choice for the Houston office was to work with the Buffalo Bayou Partnership to help restore nearby Buffalo Bayou Park, which had been severely damaged by floodwaters. The Buffalo Bayou serves as a flood channel for surrounding bayous and reservoirs for proper flood control. In recent years the city has turned the central location of the bayou into a world-class urban outdoor space with stunning views of the downtown skyline. 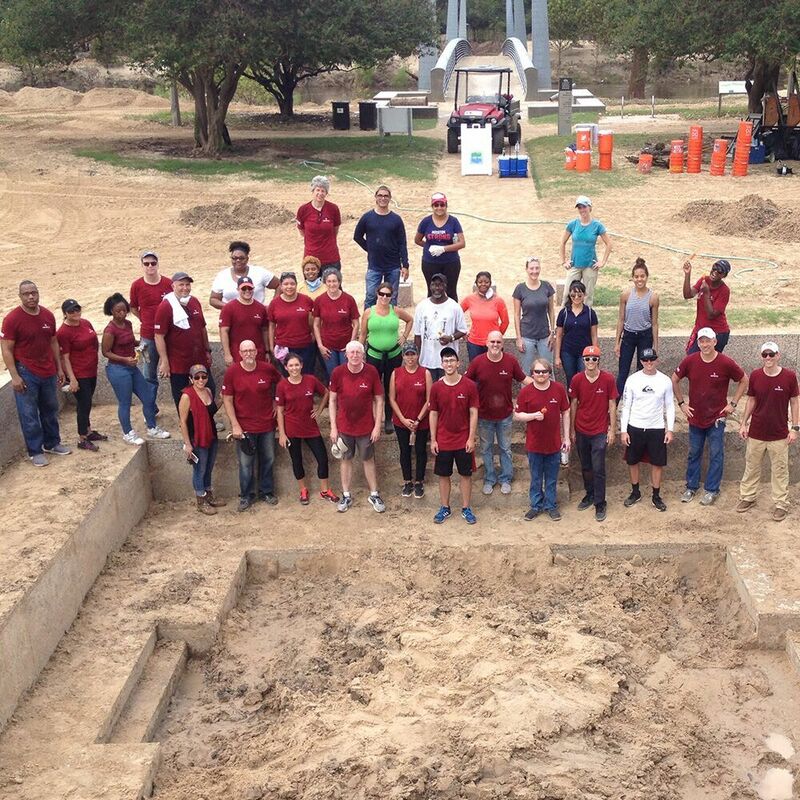 The Houston team spent the day helping to unearth the iconic Houston Police Officer Memorial, which had been buried in silt as the floodwaters receded. With Houston’s famously hot and humid weather in full swing, bottled water and popsicles disappeared as quickly as they could be handed out. A late afternoon rain shower was actually welcomed by the troops. At the conclusion of our shift, CEO Steve Taylor presented the Buffalo Bayou Partnership with a donation from Noventis. Our Portland, OR office also supported Hurricane Harvey relief efforts by working through Soldier's Angels to help Houston area veterans affected by the storm. The team’s dexterity and ability to work under pressure were put to the test as representatives from Soldier’s Angels were on-site to oversee the creation of dozens of hand-sewn blankets and hurricane relief kits containing vital supplies for homeless and displaced veterans.